I love going to the races, it is not something I thought I would get into but with a boyfriend who loves going and friends who do too I quickly embraced the tradition. The part I love most is getting dressed up - how many other occasions do you have an excuse to wear a big fascinator on your head? As the Spring carnival is well under way I thought I would share a few of my tips for pulling together an outfit for the races that survives the day. 1. Wear something on your head - hat, fascinator, a fake bird in a cage - the races are just like a dress up party and people who don't turn up in costume, kind of put a downer on things. Embrace the day and the wacky traditions and take the opportunity to make a statement. Apparently the idea of a fascinator is to make you appear mysterious and alluring - I love that idea even if it means everyone at the racetrack is mysterious and alluring. 2. Wear comfortable shoes, stilettos might seem like a good idea at 11am but trust me you are going to want to take them off after a couple of hours - its a long day sacrifice some height and not your shoes all together. 3. Keep the length of your dress elegant and classy - save the short party dress for when you continue on in the night time. Generally the tradition is that a race dress falls at the knees or just above, I am not saying you have to strictly play by the rules but it is a great opportunity to dress up elegantly and beautifully but that doesn't mean boring - show your style through colour, cuts and accessories. 4. Wear good knickers! There is uneven ground, high heels, unexpected wind and copious amounts of sparkling wine which unfortunately result too often in a gorgeous girl going head over tail. Murphy's law says if you're wearing good undies, upright you will stay. 5. Slather on the sunscreen - most race days have sunscreen stations. My general rule is that I put on sunscreen whenever I go to the bathroom. Its easy to be having fun and forget that you are standing out in the sun for six or seven hours and end up looking more like a beetroot then a races beauty. 6. Some race days have dress codes. For example Derby Day is traditionally black and white. Check out if the races you are going to have a theme and try to work your outfit around it - I enjoy having a theme to work with, it can make choosing an outfit easier as well. 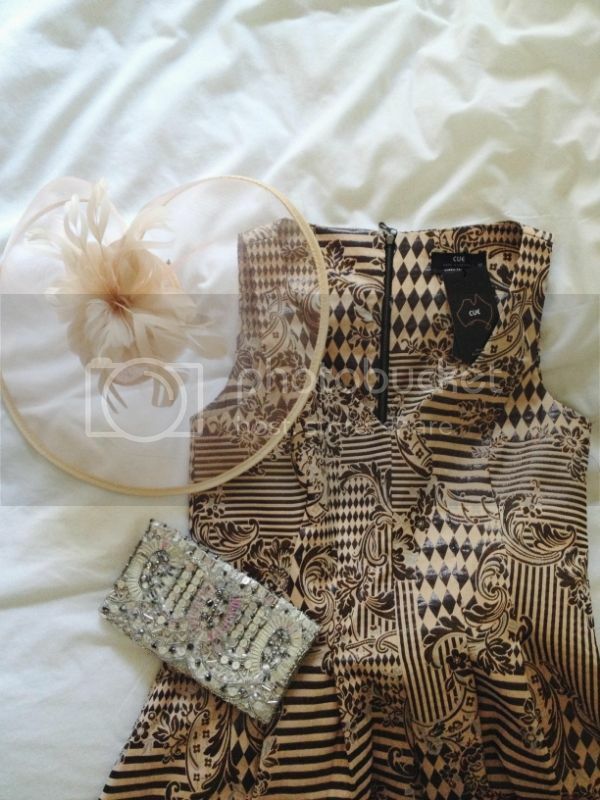 As always these are just my thoughts on what makes a fool proof outfit for the races. I haven't always complied - dress that's too short, shoes in hand and a weird sunburn outline - check! Hopefully though you can take something away from my experiences. I've never been to the races, even living so close to the action. Love your tips. I havent been to the races in years, which is really sad because I always have the best time and I love dressing up for the day. I've never been to the races but I'd love to go and dress up in a vintage frock. I hope every lady gets the opportunity to experience dressing up for the spring carnival races. It is one of those possibly 'rare' moments when it feels great to be a woman in Australia! Racing day is style day.